1.Go forward, backward, turn left and right. 2.Over-size wheel, suitable for all terrian. 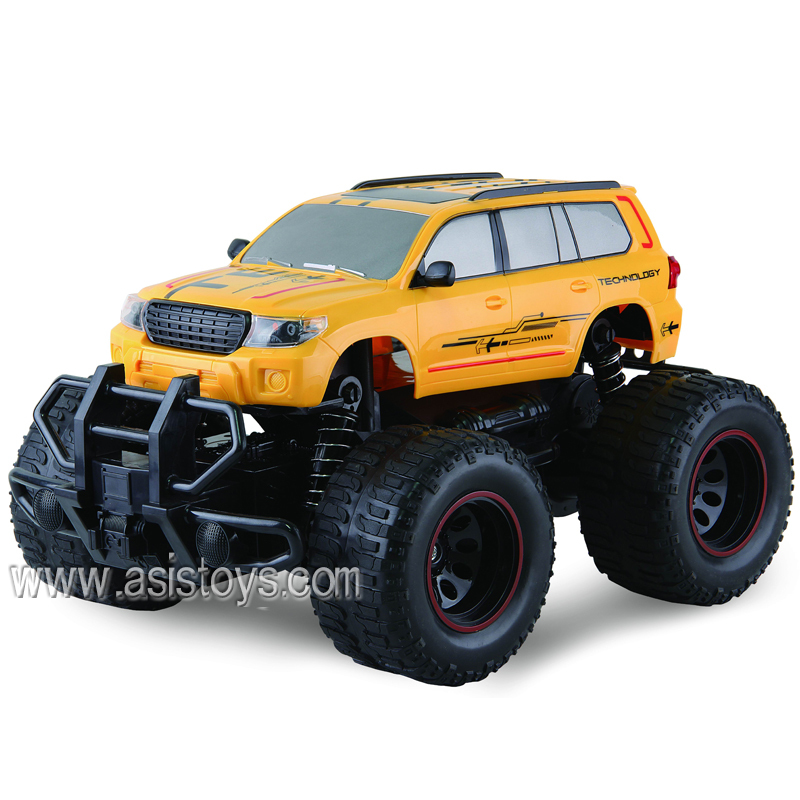 4.Simulation anti-crash car body design make the vehicle durable for fun. 5.1:10 big scale off road high performance impress your friend. 6.2.4control frquency support you have fun time with muti-friend at the same time.